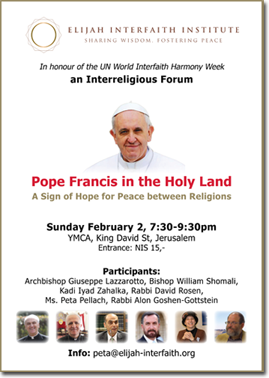 In honour of UN World Interfaith Harmony Week, the Elijah Interfaith Institute will host a panel discussion examining the significance of the Pope’s forthcoming visit to the Holy Land. Please join us on Sunday, February 2nd, at the YMCA, Jerusalem. Participating in the panel are Archbishop Giuseppe Lazzarotto, Bishop William Shomali, Kadi Iyad Zahalka, and Rabbi David Rosen. Welcome & moderation: Rabbi Alon Goshen-Gottstein and Ms. Peta Pellach. As readers of Wisdom know Elijah is proud to be involved in a research project on saints in world religions, studied under the rubric of “Religious Genius”. The project is supported by the John Templeton Foundation. As we gear up to a new year of activity, we would greatly value your input. 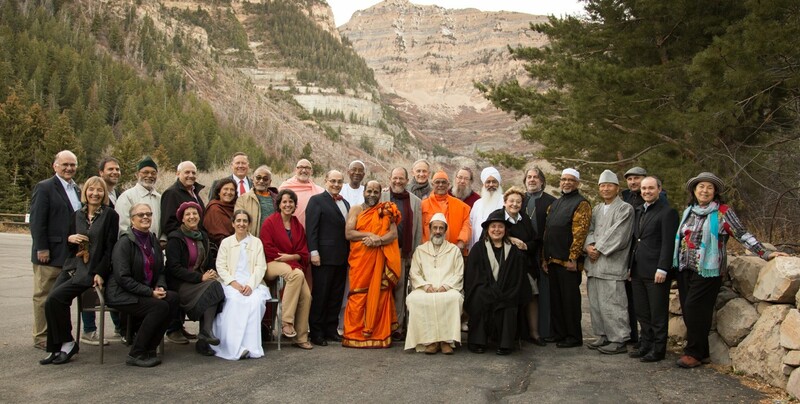 We would like to have indications of what “saints” and “religious geniuses” might mean to you. To that end, this newsletter features an appeal for your responses to 10 short questions. We would like to have you as partners for this evolving project. Please be kind enough to share your views by clicking on this survey. 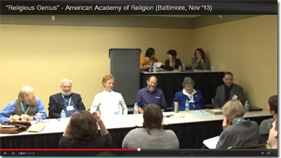 At a recent meeting of the American Academy of Religion (Baltimore, November 2013) we were honored to have a session dedicated to an exploration of the category of “religious genius”. A video of the session is featured on our Youtube Channel. It allows you to have a synthetic view of a project that is now two years underway. The session met with enthusiastic response, as a panel of 9 scholars shared their work on the study of saints as “Religious Genius”. We hope you share this response. For those who prefer the written word to the oral and visual word, you may view the project’s concept paper, presenting the concept and the results of group research. One of the preliminary findings of the Religious Genius project has been the discovery of common dealt with by ‘geniuses’ across religious traditions. The examples below illustrate this. and made me Himself, every day? through me, in sweet Tamil. who unites with my sweet life today? says my words ahead of me. yes, He was the primeval One. -> Gregory of Nazianzus, known as St. Gregory the Theologian, is one of the greatest of the 4th century Greek Christian Fathers, and was one of the core architects of classical Christian thought on God, the World, and Humanity’s aspiration to the Transcendent. You stand above all things that exist.